Irish hurler for Portumna and Galway who is widely considered one of the greatest players of the modern era. 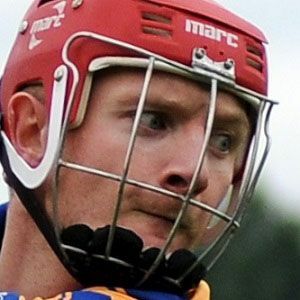 He has won multiple titles with both teams and earned numerous individual accolades, including multiple All-Star Awards and an inclusion on the Fitzgibbon Cup Team of the Century. He studied Business and Marketing at the Limerick Institute of Technology. He made his senior debut with Portumna in 2004, when he was 15 years old. He was made an Ambassador for UNICEF Ireland in 2010. He comes from a notable hurling family, including uncle Frankie and siblings Frank, Davy, Seamus, Ollie, Deirdre and Ivan. He won All-Ireland Senior Club Hurling titles alongside Damien Hayes at Portumna in 2006, 2008, 2009 and 2014.